Surgery is the most common treatment for bowel cancer and central to curing the disease. 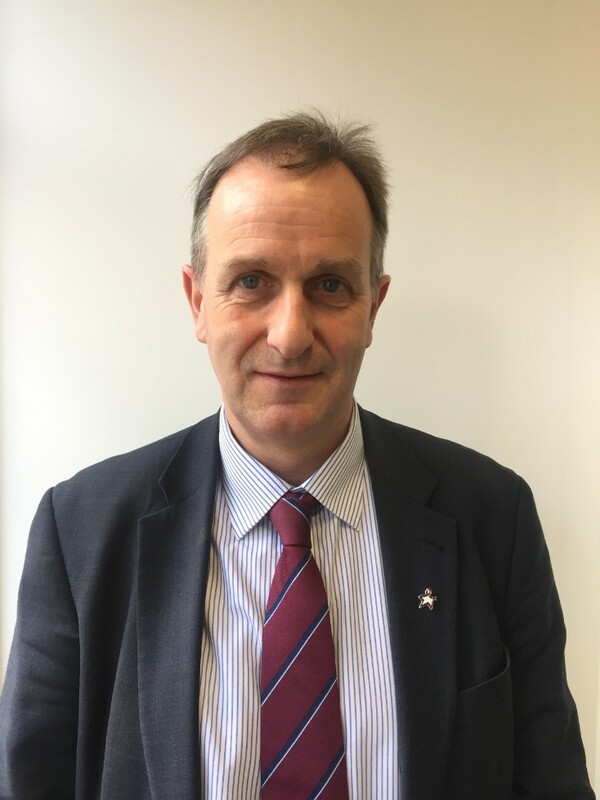 As the first Bowel Cancer UK/Royal College of Surgeons of England Colorectal Research Chair, Professor David Jayne will drive forward the surgical clinical trial agenda for bowel cancer. We asked him more about what the role involves and what it means for the treatment of bowel cancer patients in the future. What is a surgical research chair? A surgical research chair is a combined academic and clinical position, hosted by a University, that allows the post holder to undertake research to improve our understanding of human disease and apply the findings to improve the way patients are treated in the NHS. What have been some of the highlights of your research career so far? Highlights have been developing new surgical technologies that I have brought into clinical practice to improve the way that patients with bowel disease are managed. This includes new surgical treatments using advanced fluorescence surgical techniques to improve cancer surgery, the use of robotic systems to improve the way that surgery is performed, and better ways of monitoring patients following surgery to prevent complications and ensure optimal recovery. I was motivated as a junior doctor by an inspirational Professor of Surgery who showed me the role that surgery played in curing patients with bowel cancer. I soon became fascinated by the biology of bowel cancer and the challenges involved in curing the disease. This led to me to undertake research into bowel cancer and developing new technologies to improve cancer outcomes. I have a mixed research portfolio which includes basic laboratory science to better understand how bowel cancer develops and behaves, developing new approaches and technologies to improve our treatment of bowel cancer, and performing large national and international clinical trials to evaluate bowel cancer treatments. Much of my research is multi-disciplinary, involving scientists and clinicians from varied backgrounds to bring new approaches to understanding and treating bowel cancer. This work is supported by funding to develop research networks throughout the NHS that will ensure that new techniques and technologies are available in a timely manner and disseminated widely. What does this role mean for bowel cancer patients? The BCUK/RCS Eng Chair in Surgery will be a real asset in helping me to achieve my aims of improving bowel cancer care for NHS patients. It will provide me with the time and resources to carry out high quality research that I can apply to the challenges of treating bowel cancer. Importantly, it will give me access to the UK’s largest bowel cancer charity, which is vital for making sure my research is relevant to the needs of patients suffering from the disease. What are your hopes for the future of bowel cancer surgical research? My hope is that our understanding of how bowel cancer develops will increase, such that we see a fall in its occurrence. Bowel cancer screening is proving to be effective, but we need to see more people taking up screening. If we can improve diagnosis and catch the disease at an earlier stage, then we can cure more people. Diagnosing cancer at an earlier stage also means that we can treat more people with less invasive surgery. This will make surgery safer and reduce the recovery period, enabling more patients to return quickly to their normal lives.